Okay 2015…can you really change? In the spirit of the New Year, I am taking a Nostradamus point of view and a Pollyanna perspective. I know this is true, because I have already received confusing literature about co-pays, prescription drugs, and durable medical equipment. This from three different places for my brother-in-law, myself, and my friend with the traumatic brain injury. Wading through complicated, confounding medical gobbeldy gook will continue as before. 2. Hospital stays will still make everyone crazy. Now, granted, no one likes to be in the hospital. But as my brother-in-law just returned home from a bout with the flu (yes, we all had flu shots, to no avail) it still rankles that your own doctor doesn’t come to the hospital any more. You get a ‘hospitalist’ who doesn’t know you, does tests you probably don’t need (because he doesn’t know you) and get a crappy diet because they think you’re a diabetic when you’re not. I am all for everyone having health insurance…..as frustrating as it can be, because I’ve seen first hand what happens when you don’t have it. However, when the new and improved arrives, there will always be problems, glitches and the need to massage it into a better place. And when it is a hot button political issue to boot, well, the conversation will continue to exasperate us all like those year end car sale commercials……endlessly. Yep. Here we all are again. 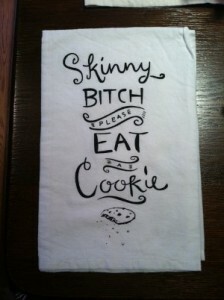 Like my Nana used to say, “fat, ragged and sassy.” Will we never cease this battle? Nope. That’s it. Just Facebook. Persistently as annoying and enthralling as it was in 2014 and will continue in 2015. 1. Hotels will give you free WIFI. Yep. I discovered that in today’s newspaper. Yes, I still have delivered and read an actual newspaper (perhaps that too will end in 2015, but not because I want it to). 2. Airline fares will abate. C’mon. They just have to. Fuel prices are dropping like flies every day. The excuses are running cold. Airlines need customers like a fish needs water. Obviously metaphors and similes will dictate cheaper airfares. See #1 and #2. Pundits claim that true business success will return to the customer service model. We can only hope, as customers, that is. 4. People will be kinder and gentler. I think we are all getting tired of boisterous debate. I declare 2015 the year of the kinder, gentler human being. We saw the film, “Unbroken” on New Year’s Eve. The humiliation of one human being to another is probably the most palpable part of that movie. Perhaps people will stop that, and just be nice, goddamnit. 5. People will stop dieting and laugh more. We all know that by February 1st most diets will end. And thank God. People don’t seem to laugh so much when they are eating celery and carrots, and nothing else. I predict beer sales and comedy clubs will begin to prosper right around Ballentine’s Day. (yes, I said Ballentine, but for those of you who didn’t grow up on the East Coast, Valentine’s Day is just as good). I wish you all a happy, hilarious 2015……because……..
You just have to Laugh……..
12 Responses to Okay 2015…can you really change? Regarding No. 4 — Maybe if we all make an effort to be kind and nice first, others will follow. One thing that won’t change is how much I adore Donna Cavanagh!!! The reading of newspapers seems to be a lost art. I was only reading about this, online, yesterday! Oh you online pedant….why oh why is my paper so disrespected? Now if only we can get the media to be more positive. I’d love to see more focus on positive acts rather than the constant barrage of aberrant behavior. Yay, Theresa, I vote for you! Boy, I hope you’re right about airline fares. I’m planning a trip to Hawaii in April – times three of us – in which case weight loss and dieting will become as much a necessity as food and air. I hope. I’m in your corner, CF….I want to take a big trip this year too, and it would be nice to look nice as well! You’ve already given me something to be pleased about – I found another newspaper reader! I love this post. I think we all need to focus on the what Will change. We all need to move toward those goals!